Ralph Goodale knows he needs to tread carefully when it comes to introducing new legislation on firearms. 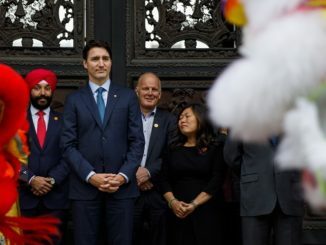 It was just last week that reports emerged highlighting that the Liberal Party’s rural caucus was getting nervous about what was in the bill. Goodale, as the lone Liberal MP in Saskatchewan, knows that even in his home province this is a touchy subject. 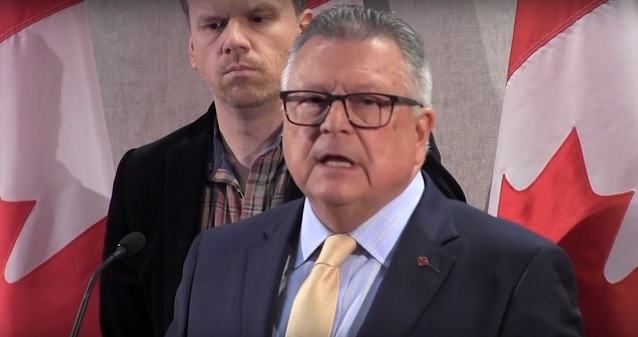 So this past week while at an event in Saskatoon, Goodale was trying to assure law abiding gun owners that they are not the target of this new legislation. Problem is, everything he said showed the opposite. According to the report in the Saskatoon Star Phoenix, Goodale was pushing records-keeping by gun stores as a safety measure. “This is simply the best business practices of companies that are engaged in the retail trade,” the Regina Wascana MP told reporters at an event in Saskatoon on Thursday. I’m not sure how keeping records, which most stores already do, would change the safety equation when most gun crime in Canada is committed by gangs. But that is a fact and often this debate is free of facts. Darren Reed, the owner of Saskatoon Gunworks, is quoted in the story as saying he keeps records of sales because it is common sense but it won’t help public safety. “The majority of gun regulations are not for actual public safety, they’re for the appearance of public safety,” Reed said. Appearances, unfortunately, dominate the promises made by the Liberals when it comes to guns. The Liberals, like their cousins, the Democrats in the United States, are obsessed with stopping crime with so-called “assault rifles.”These are generally rifles that look militaristic but are far less powerful than Grandpa’s .308 hunting rifle. But the black appearance, the pistol grip, and other features all related to the look of the rifle, freaks out people that are not used to being around firearms. In Canada we have strict gun control already, at least for anyone buying guns legally. That’s the kind of motherhood and apple pie system no one could be against. Who wants a Glock G43 pistol or an AR 15 randomly out on the streets in the hands of bad guys? No one. Yet in their platform and in what they are proposing in the legislation it is all aimed at dealing with the guys and gals that go to the range on the weekend and not at all dealing with guns in the hands of gangs. 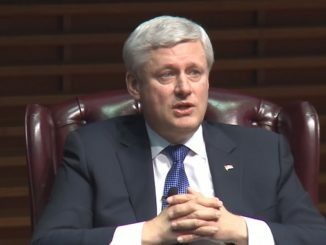 All of these measures, and changes to transporting of restricted firearms to ranges that the Liberals are promising to change, target the hunters and sports shooters and do nothing to target the gangs that commit the majority of murders with firearms in this country and are responsible for almost all the gun play in our streets. Don’t believe me? Look at the stats, from Statistics Canada. Canada’s gun crime problem is not driven by the types of folk that like to spend Saturday afternoon at the range or hunt deer every fall. Stats Canada’s latest full year report on homicides shows that in 2016 there were 611 murders, 223 of which, or 36% were with firearms. Of those 223 firearm deaths 58% were with handguns, the preferred weapon of gangs and organized crime. 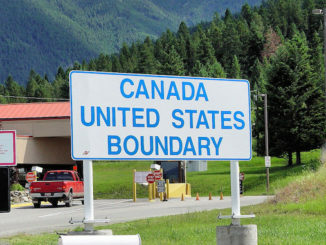 That means 129 of the murders committed in Canada were committed with handguns, a type of firearm that is highly regulated and still subject to a handgun registry. We are continually told that murders, and gun murders, are on the rise. Why? Gangs, according to Stats Canada. In 2016, 54% of firearm‑related homicides were also related to gang activity compared to 43% in the previous year, representing the greatest proportion since 2009. Yet what the Liberals are willing to talk about in their legislation only targets the law abiding gun owner and not the street drug dealer or local crime boss looking to protect their stash. When Goodlae hosted his national summit on guns and gangs a couple of weeks ago (see the video below), I gave him kudos for looking at a broad range of solutions for dealing with organized crime. Unfortunately it looks like his gun legislation bill, likely to be introduced this week, will miss the mark completely. You don’t get handguns off our streets by going after duck hunters. I thought the Liberals learned that last time, apparently not. This is just the beginning folks. Another way to take our rights away! Ralph doesn’t give 2 hoots about public safety. This isn’t about guns it’s about control. The Liberal’s response to gun crime is like the post 9/11 airport response to terror. It completely misses the mark. Little old ladies having their walkers disassembled, mothers’ milk being confiscated at screening areas, and recreational shooters having to write their name in a little book at the gun store, LOL. Maybe Wreck-it Ralph can rename his portfolio to the Minister of Public Safety Theatre. RALPH GOODALE PUBLIC SAFETY MINISTER, TALK ABOUT USELESS. It is about disarming the public as a whole. An unarmed public is a docile public that will be made incapable of civil revolt against the tendencies of a would be dictatorial government. Can we move to Ralph’s riding before the next effecting and vote for the other guy? My riding has never end a Lieberal but we keep getting their stupidity rammed down or throat. Western Seperation anyone? If Mr Goodale truly wants increased public safety then he should table a Gang Control bill. PS. Nice website Brian. Um’ Yeah, so exactly how many times have “Actual” assault rifles, been used on our streets? I don’t even recall an AR15 ever being used, and that is NOT an assault rifle!